THIS 1835 POST AND BEAM HOME IS AMAZING! NEWER BRYCE AND DOYLE KITCHEN, UPDATED BATHS , HARDWOOD FLOORS ARE GLEAMING, VINYL WINDOWS, VINYL SLIDER FROM PELLA! SKYLIGHTS HAVE REMOTE CONTROL! AND THE BARN IS HUGE, WITH A FULL BASEMENT!! THE IN-LAW APARTMENT (567 SQ. FT.) HAS A FULL KITCHEN W/ APPLIANCES, LIVING AREA AND BEDROOM WITH LARGE BATHROOM AND WALK IN SHOWER, ALL HANDICAP ACCESSIBLE. THERE IS ALSO A PRIVATE ENTRANCE AND ONE THROUGH THE HOUSE. 1ST FLOOR LAUNDRY IS OVERSIZED AND LOTS OF STORAGE AND CLOSETS THROUGHOUT! 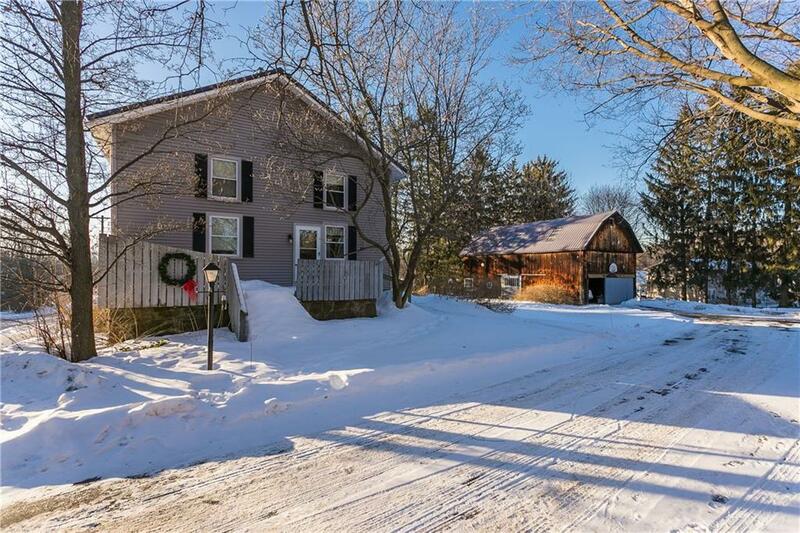 SITS ON OVER AN ACRE OF LAND, RICH WITH TREES AND FOLIAGE. THIS IS A ONCE IN A LIFETIME OPPORTUNITY TO GET A VERY SPECIAL HOME.